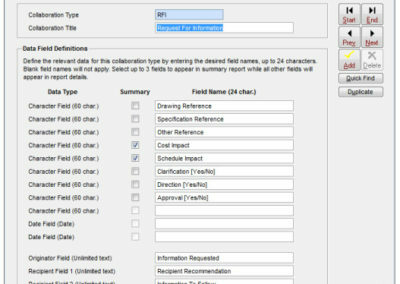 OnTrack Collaboration tracks all your project correspondence by subject and type such as RFIs, transmittals, punch lists, as well as custom types using your preferred terminology. 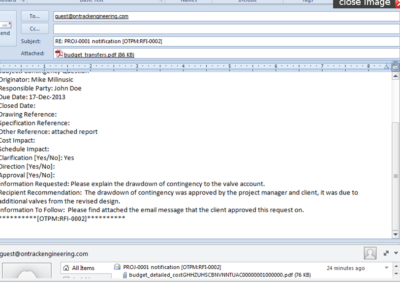 All types are auto-numbered with subject, assignees, issue date, required resolution date, issues involved and date resolved, status and date closed, and can include attachments from the field. Only the originator needs to be a licensed user; respondents only need an email-enabled device. 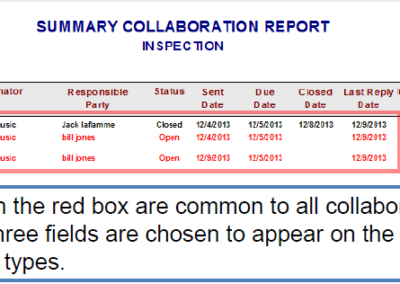 OnTrack Collaboration requests typically start from within the system when some project data requires clarification. 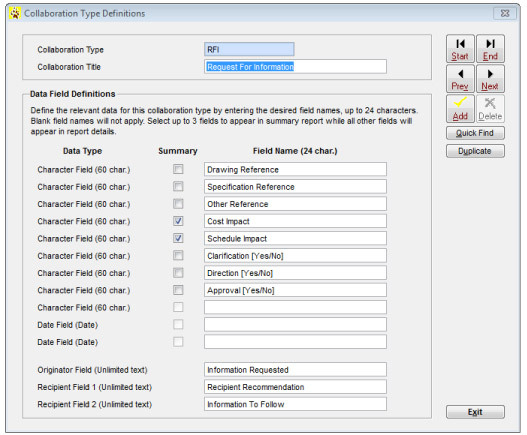 As examples, an RFI to a vendor or a deadline for inspection reports is sent from a licensed OnTrack user. 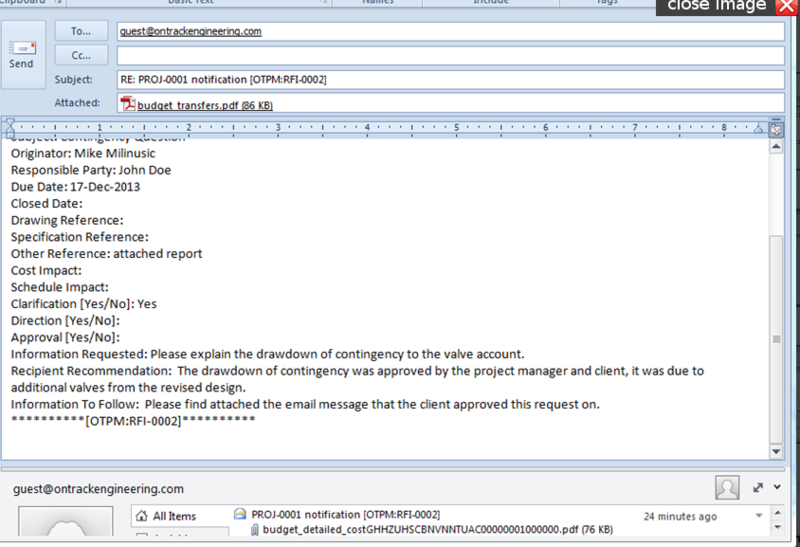 In the vendor’s case, they receive an email with an internal and external link, formulate their response from any device and respond into the system directly. 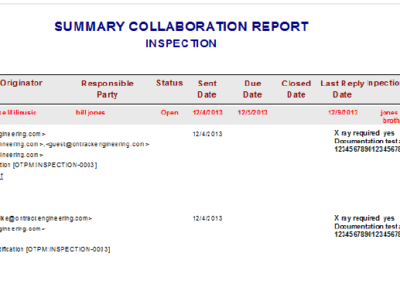 For the inspector, once the report is ready they reply to the inspection request with the report attached. Neither the vendor nor the inspector needs to be a licensed OnTrack user; they simply reply to the existing collaboration within a controlled access external link.